BMW 2 Series Active Tourer Running Costs, MPG, Economy, Reliability, Safety | What Car? 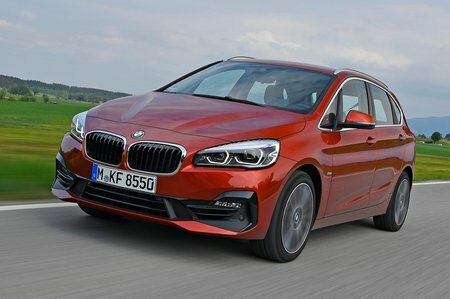 The 2 Series Active Tourer looks expensive compared with its closest rivals, although in most cases it comes with more standard equipment, so it’s actually not bad value. Its engines are also more efficient than those in many other MPVs. This means that company car tax will be very reasonable (if not cheapest, since its high list price pushes up tax payments). The 225xe could feasibly be run very cheaply if you keep it in electric mode – something you’ll only manage on short journeys. The premium badge will ensure resale values are among the best in the class (if not quite as good as the Volkswagen Touran’s), and if you’re planning to sell on then this will likely be one of the cheapest cars in the class with all ownership costs factored in, despite its higher initial purchase price. There’s a reasonable, fixed-price servicing plan that covers the 2 Series Active Tourer for five years or 50,000 miles. We’d avoid the more expensive Service Inclusive Plus package; while it covers wear and tear on clutch, brake disc and brake pad replacement on top of the standard service pack, the extra purchase cost seems high. Entry-level SE trim is the best value, so it’s what we’d go for. 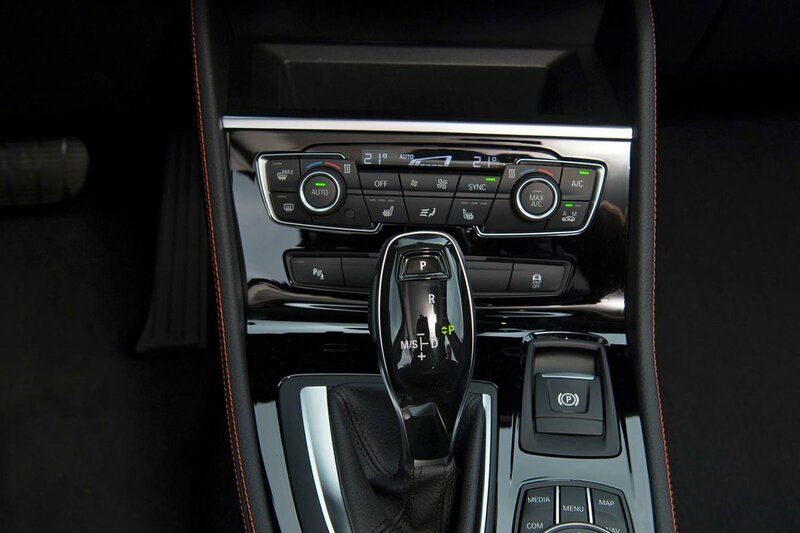 It comes with dual-zone climate control, a multi-function steering wheel, 16in alloy wheels, rear parking sensors, and automatic lights and wipers as standard. We’d add a sliding rear bench to improve flexibility, the Driver Pack and metallic paint, and that should do. Sport models aren’t massively more expensive and do add useful features such as the sliding rear bench, electric folding rear seats and sports front seats. Factor in 17in wheels and it could be worth considering if you like the looks. The main addition to Luxury models are leather seats, so unless you must have hide, we’d avoid this trim. At the top of the range is M Sport, but you’re mainly paying for sporty styling and leather seats. Realistically, it’s too pricey to recommend. 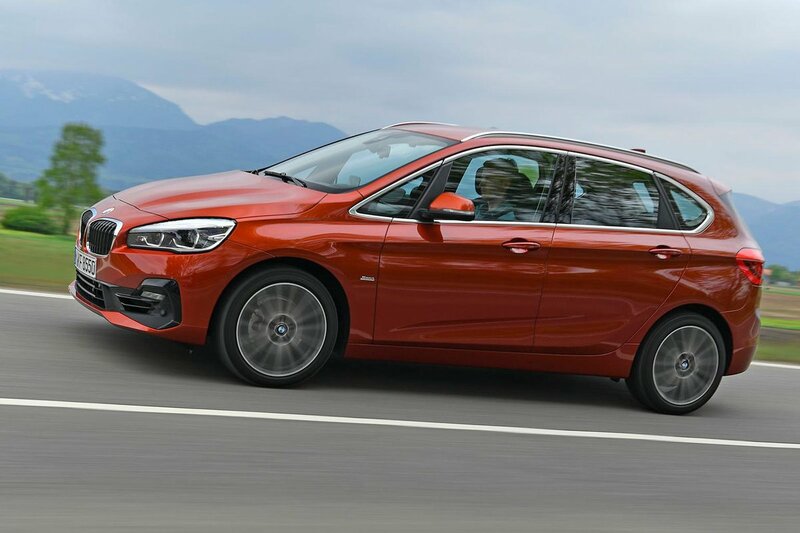 Although BMW finished mid-table in our latest reliability survey, the 2 Series Gran Tourer (the seven-seat version of the 2 Series Active Tourer) was the most reliable car for MPVs of all ages. The 2 Series Active Tourer comes with a three-year, unlimited-mileage warranty for added peace of mind. There’s no shortage of standard safety kit. Every model comes with stability control, a tyre pressure monitoring system and six airbags, plus a system that warns you when there’s a potential collision imminent. It was awarded a maximum five-star crash test rating from Euro NCAP. It's worth considering the Driver Pack, which includes lane assist, automatic emergency braking, active cruise control that can speed up and slow down with traffic and automatic high beam assist. It’s a reasonable price given how much extra equipment it includes, although it’s worth pointing out that a Volkswagen Golf SV has automatic emergency braking as standard. There’s also no blindspot warning system available, which most rivals have as an option. Security equipment includes an alarm and an engine immobiliser, and the 2 Series Active Tourer was rated highly by Thatcham Research for resistance to theft and to being broken into.